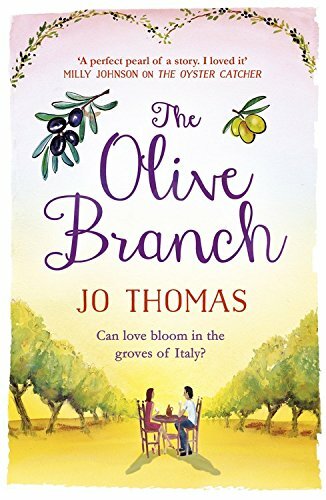 First, though, she must win over her fiery neighbour, Marco Bellanouvo, and his tempestuous family…and then there’s the small matter of running an olive farm. As the seasons change and new roots are put down, olives and romance might just flourish in the warmth of the Mediterranean sun. A heart-warming tale of how challenges can bring people together in the most unexpected of ways, and how a little misunderstanding isn’t always a bad thing. Ruthie Collins, impulsive and smarting from a breakup she instigated, buys an Italian farmhouse on eBay. Soon she finds herself in torrential rain, battling a guard goat and both branches of the Bellanuovo clan (whose land surrounds hers). Marco, one of the aforementioned Puglian family, decides to help her… for a price. Can she prove her ex, her mother, and Marco wrong, and take on the farmhouse all by herself? Weaving a beautiful tapestry of romance and contemporary fiction, infusing it with the sights and aromas of the Mediterranean earth, and dusting it with humour, this is beautifully written and gentle escapism. Whatever the time of year. *I won a copy of the book in a Goodreads giveaway. I loved this book and it was a privilege to meet Jo earlier this year.